The Anaheim University Akira Kurosawa School of Film will present “Re-imagining Kurosawa,” a lecture and panel discussion, on Monday, Nov. 26, at 7 p.m. at Japan House Los Angeles, Hollywood and Highland, Los Angeles. Take an elevator to Level 5. Japan House is located at the southeast corner of the building. 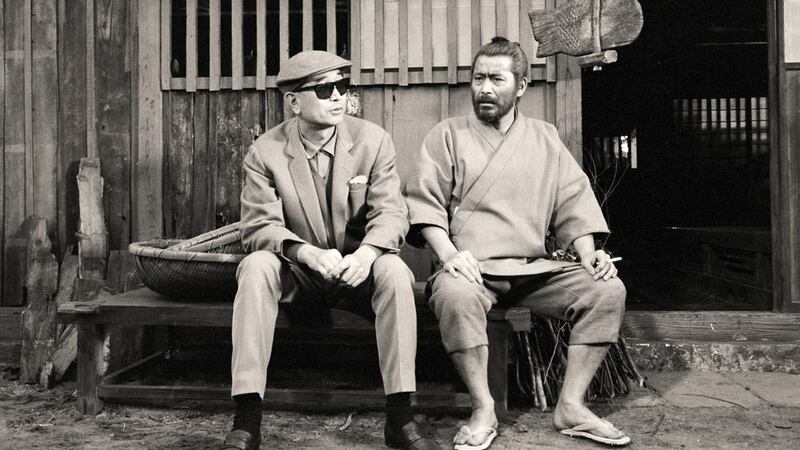 Academy Award winning director, producer and screenwriter Akira Kurosawa (March 23, 1910 – Sept 6, 1998) was one of the greatest filmmakers of our time, who inspired such directors as George Lucas, Steven Spielberg, Martin Scorsese and Francis Ford Coppola. His ground-breaking masterpieces inspired such classic movies as “Star Wars,” “The Magnificent Seven,” and “A Fistful of Dollars,” to name just a few. Panel discussion and Q&A session follow the lecture. Dr. Desser has taught at USC, UCLA, University of Pennsylvania, University of Michigan, Kansai University in Japan, Hong Kong Baptist University, and the University of Illinois, where he is professor emeritus of cinema studies. He received his Ph.D. from USC in the Cinema Program with a minor in Japanese. As dean of the Anaheim University Akira Kurosawa School of Film, he oversees the online Master of Fine Arts (MFA) in Digital Filmmaking program. • George Takei, with an acting career spanning six decades, is known around the world for his founding role in the acclaimed television series “Star Trek.” From a childhood spent with his family wrongfully imprisoned by the U.S. government during World War II, to becoming one of the country’s leading figures in the fight for social justice, LGBTQ rights, and marriage equality, Takei remains a powerful voice on issues ranging from politics to pop culture. Mashable.com named Takei the No. 1 most-influential person on Facebook, currently with 10.4 million likes and 2.8 million followers on Twitter. The openly gay Takei has long been a passionate advocate for social justice, outspoken supporter of human right issues and a community activist. He lives in Los Angeles with his husband Brad Takei. • John Powers is a long-time contributing editor at Vogue and Vogue.com, for which he writes about film, television and politics, and is critic at large for NPR’s “Fresh Air with Terry Gross.” His articles have appeared in many publications, including The New York Times, The Washington Post, Departures, Gourmet, Harper’s and The Nation. After getting his Ph.D. from Stanford University in modern thought and literature, Powers taught at Georgetown University. In 1985, he moved to Los Angeles, becoming film critic (until 1993) at L.A. Weekly, for which he would later write a weekly column on politics and the media. He is the author of the book “Sore Winners (and the Rest of Us) in George Bush’s America,” a study of American culture during the Bush years, and co-author with Wong Kar Wai of “WKW: The Cinema of Wong Kar Wai” (2016). Admission free but reservation required. Hosted by the Japan Foundation Los Angeles. For more information, call (323) 761-7510 or visit www.jflalc.org.